Can A Building Tell A Story? I'm not particularly knowledgeable about architecture. 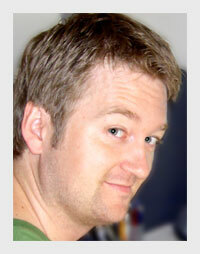 I can probably recognize a couple of style-periods but have no detailed knowledge of the craft. Like most people however, I know what I like. 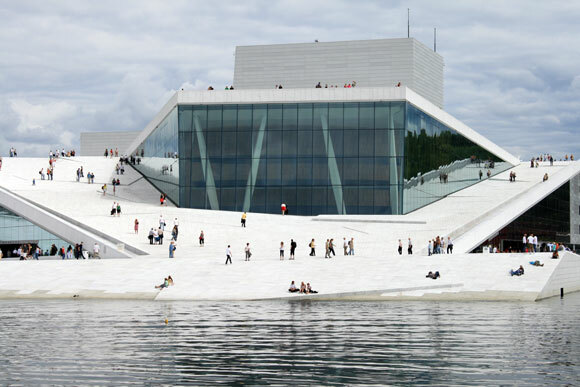 Oslo's new opera building is among the latter. 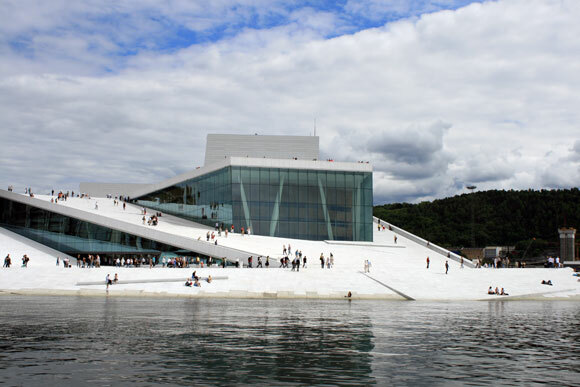 The new seaside Opera-building was drawn by the firm Snøhetta and is an abstraction of a glacier. To me, the most stunning thing about the building is how it almost transforms what constitutes a building. The slanting roof accounts for the majority of the building-mass. Accessible to the public, it creates a landscape that works incredibly well both on its own merits as well as the glacier-feeling it is trying to achieve. 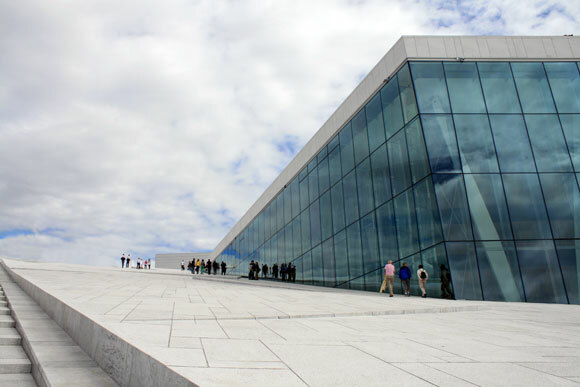 The construction is made in such a way that at times only the white marble of the building and the sky is visible. It really does evoke a feeling similar to being on a glacier, you better bring your sunglasses. And there's more. This is a building for the National Opera and Ballet and as such it has obviously been paid for by the government. The prelude to actually building the thing has not been without a few sour notes. The debate to whether Norway needs a dedicated Opera has been on and off ever since 1905 when we regained full autonomy as a sovereign state. Also, spending huge amounts of money on a building dedicated towards what is perceived as high culture will always tick some people off. Personally I think making beautiful buildings for the public actually improves people's quality of life to some extent. (Although it is hard to design a spreadsheet to prove this). As some of you no doubt know, and even more might have guessed, this is the beginning of the Norwegian National Anthem. (Literal translation taken from Wikipedia). Now, it could be a mere coincident, but doesn't that description seem quite befitting of Snøhetta's National Opera building as well?